The first consumer VR-infused holiday season is almost upon us, and no doubt VR headsets will be extremely hot gift items. It’s the most wonderful time of the year (so they say), and HTC is giving a modest but notable $100 (12.5%) discount on the Vive, as is now the tradition on Black Friday. That means you’ll be able to nab the Vive for $700 instead of the usual $800. Looking for a Rift deal? See here. When the time comes, you should find the deail online or at retail, including Microsoft Stores, Amazon.com, Gamestop, Newegg.com, Micro-center, Vive.com and for the first time, 34 Fry’s locations across the U.S.
Viveport’s Black Friday through Cyber Monday sale starts at 11:59 p.m. Pacific Time on November 24 and runs through 11:59 p.m. on November 28. 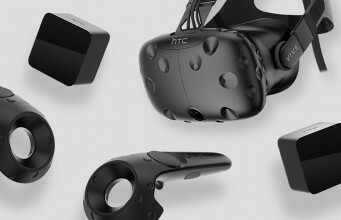 The post Save $100 on HTC Vive During Black Friday & Cyber Monday appeared first on Road to VR.